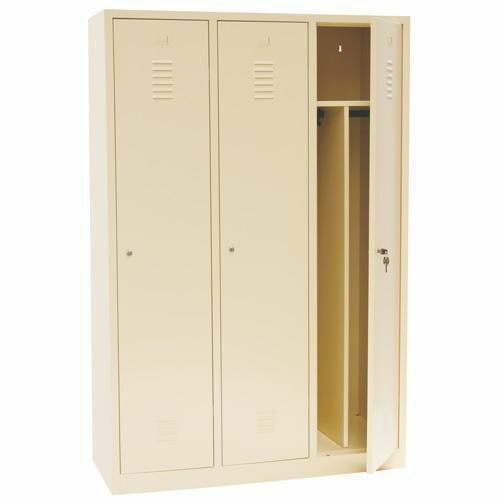 Nest of 3, 1 door clean/ dirty lockers. Sleek and contemporary, all beige finish. Raised on a plinth to protect base from rust or damage. Perfect for storing clean and dirty uniforms together in one unit. Complete with hat shelf, vertical central divider and a hanging rail in each compartment. Ventilation at top and bottom. Vents both top and bottom to promote good air circulation.